East Side Mario’s Canada 12 for $12 Event is Back! 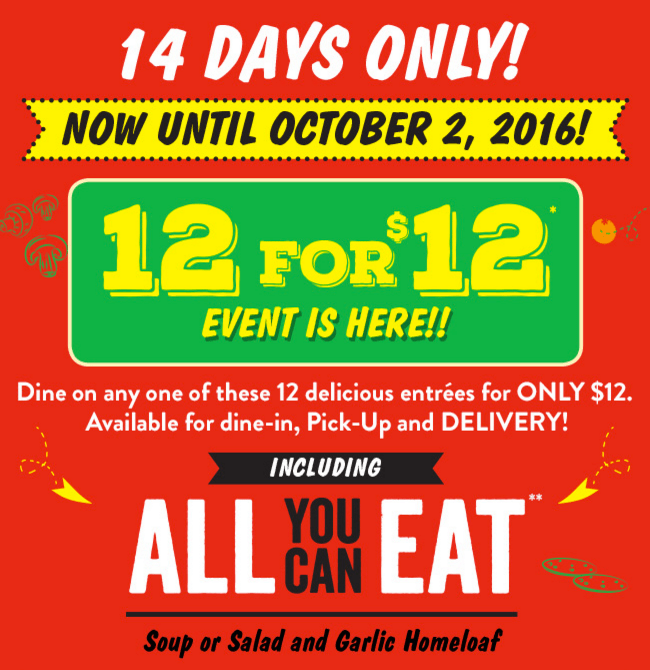 12 for $12 event is back at East Side Mario’s Canada! And only 12 bucks for 14 days only! This East Side Mario’s promotion is valid from today, Monday, September 19 until Sunday, October 2, 2016. Click here to find East Side Mario’s near you.